You are the Princess Elect; who will you choose as your one and only prince? Meet a whole cast of hot guys – "ikémen" – characters! You get to choose which guy to be with. 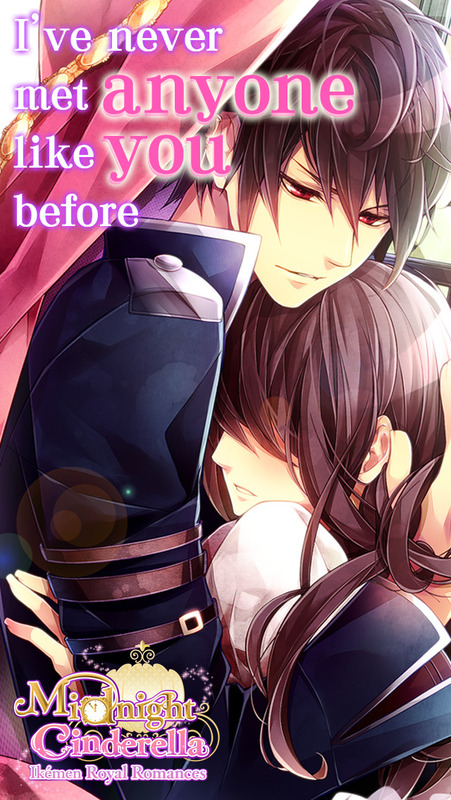 Download this game to spend your long, cold nights in the arms of your chosen prince. Who will you be with tonight? 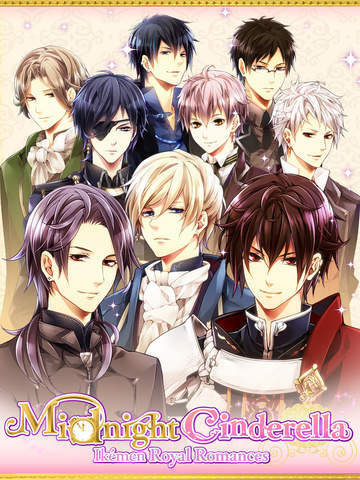 Midnight Cinderella: Ikémen Royal Romances is a love simulation/otome game with memorable characters who you will have a hard time not falling for! Everyday you will receive 5 Chapter Tickets to progress in the story! Experience a fairytale world of horse-drawn carriages, elegant gowns, and tiaras. Immerse yourself in a dream world of cute avatars! Free to download and free to play! Anyone can play and attain a happy ending with the man of her dreams. You, a commoner, have now become princess of an entire country! The role of "princess" is to find the prince who will rule beside her. You can only pick one king. Who will be the next king of Wysteria?! "As long as you’re with me, I’ll never let anything harm you." A secret oath between you and the captain of the guard. "Look me in the eyes…"
"Speak your desire and consider it done." A fateful romance with a mysterious duke. The clamor of the clock ringing midnight does nothing to wake you from this sweet spell. 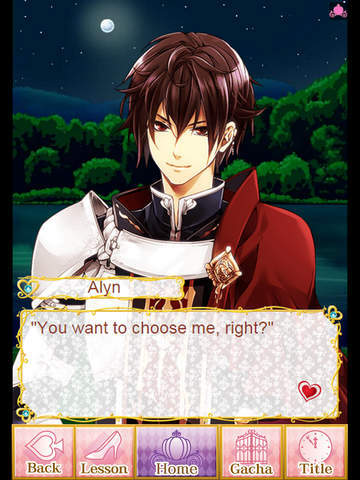 You Are the Princess, Who Will You Choose As Your Prince? ■Choose Your Love from an Ensemble of Irresistible Guys! 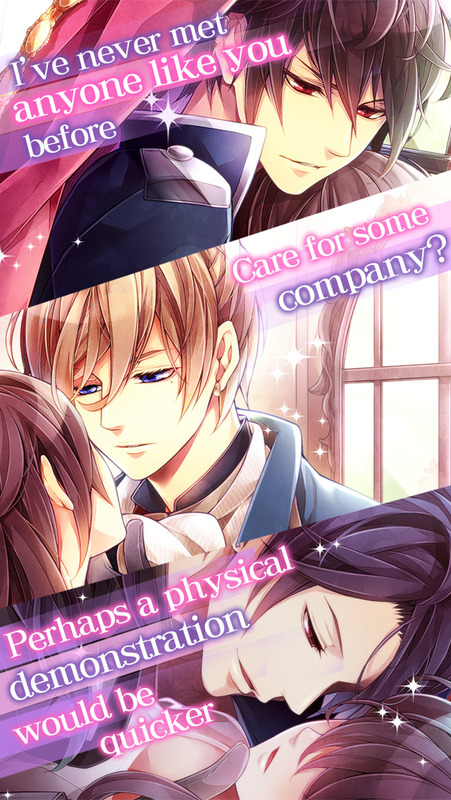 An entire cast of distinctive, mysterious characters await you at your court: the captain of the royal guard, who is sworn to protect you, an enigmatic duke, a highly suggestive royal tutor, and many others! Experience a dangerous affair with the king from a neighboring country, or a spy with unknown origins. You are get to choose! What will your happily ever after be like!? 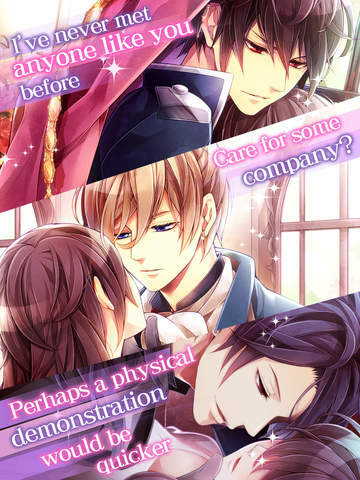 This is a love simulation/otome game of royal proportions! ■Cute Avatars for Every Princess to Enjoy. Your Prince Will Also Appear! Horse-drawn carriages, stunning dresses, cute accessories all await you in this fairytale game. Fashion items and accessories are so abundant it is like a dream come true. Characters from the story are also available as avatars! Captain Alyn Crawford protects the royal house from the fore of the Royal Wysterian Guard, the superlative order of knighthood. His haughty demeanor is rivaled only by an overwhelming fixation to his duty. This young Wysterian duke boasts a beauty wrought from alabaster—his countenance, elegant as it is cold. Giles’s generally balmy countenance will at times ebb to reveal something bewitchingly domineering.